I purchased my floating row cover from Gardens Alive! The lettuce has grown quite a bit since the last time I wrote about growing it under a floating row cover. 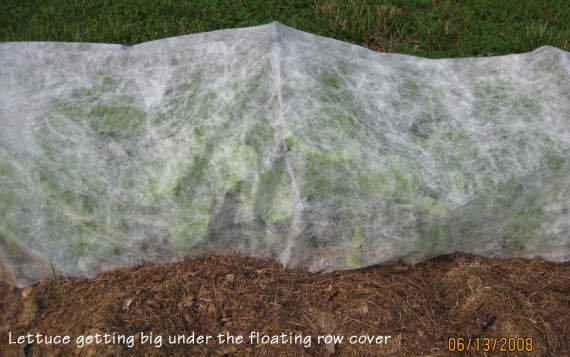 [Lettuce & Floating Row Cover] From the outside, the green of the lettuce shows through the cover. I lifted up the back where the excess cover was rolled up and I gave the lettuce more growing space. While it was open, I had a look at the lettuce. Some of it is ready to eat. It needs plenty of water. 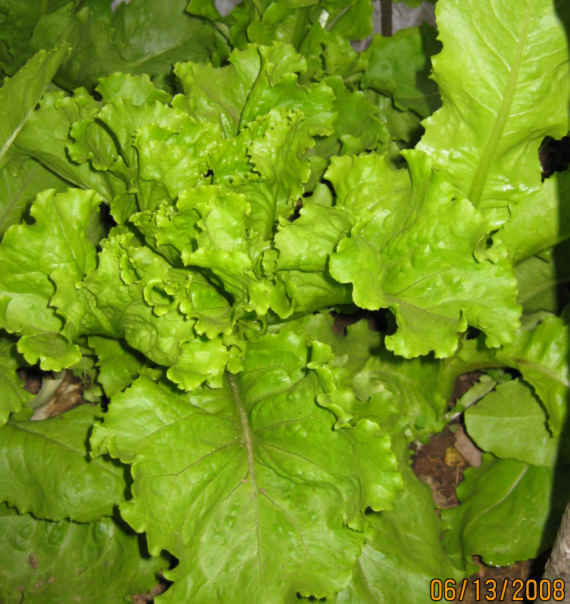 Pick lettuce in the morning.